Ha Giang exploration & its requested permit to visit Ha Giang's border districts : Quan Ba, Yen Minh, Meo Vac & Dong Van. Ha Giang is an off-beaten-path travel destination & lesser known among foreign tourists travelling to Vietnam.Travelling to Ha Giang, you are expected to admire breathtaking landscapes of rocky mountains & deep valleys along Global Dong Van Geopark (stretching in Quan Ba, Yen Minh, Meo Vac & Dong Van districts), and interact with friendly local ethnics of Hmong, Dzao, Pa Then... when visiting their villages, homestaying & enjoying their home-cooked dishes and attending in colorful weekly markets. As a foreign traveler, when doing a trip to visit those border districts of Ha Giang province : Quan Ba, Yen Minh, Meo Vac & Dong Van, you are requested to get a permit to enter Ha Giang's frontier regions by law. 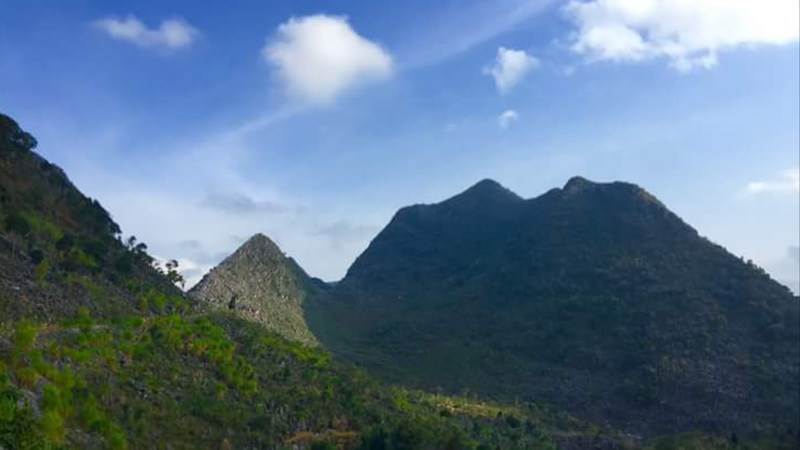 Where to get the permit to Ha Giang? 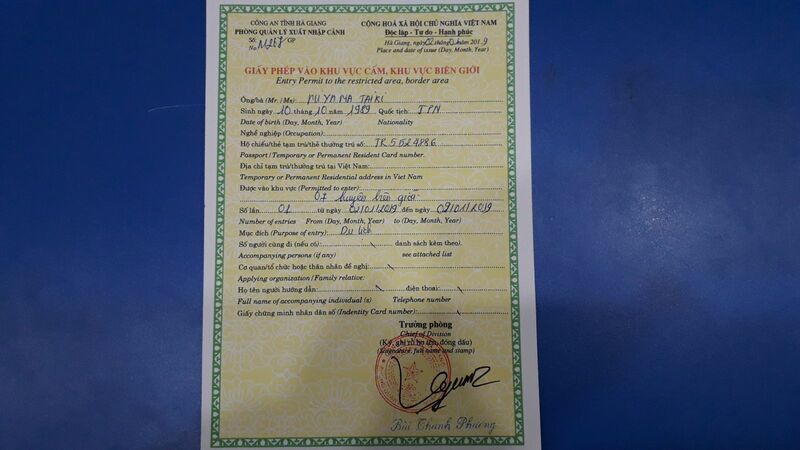 You can get the permit from Ha Giang city or any frontier districts of Quan Ba, Yen Minh, Meo Vac & Dong Van in local police stations fast & easily.But it is better to get the entry permit at the starting point of your Ha Giang journey to avoid the fines or any troubles it may arise. There are two routes that you can approach those Ha Giang’s frontier districts : Hanoi-Ha Giang city-then visit Quan Ba, Yen Minh, Meo Vac, Dong Van and Hanoi- Cao Bang city- Meo Vac town- Dong Van-Yen Minh- Quan Ba depending on your length & interest of your travel yourney. 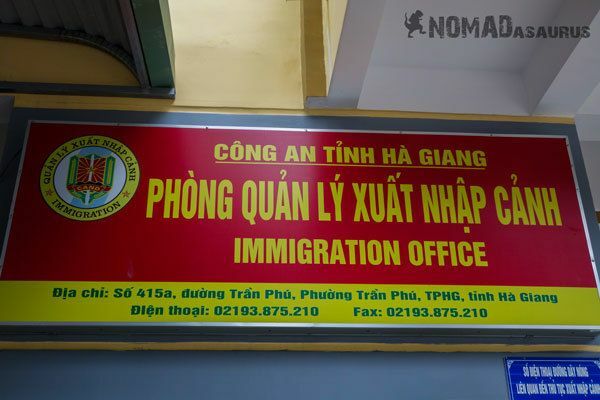 Reaching Ha Giang city, you can go to Ha Giang Immigration Office in 415a Tran Phu street- opening from 8h00 a.m to 8h00 p.m everyday ( excluding holidays), break hours for lunch between 12h00 and 13h30 p.m. Reaching Meo Vac town from Cao Bang city, you can go to Meo Vac Police Station and get the permit there. How to get the entry permit to Ha Giang’s northern districts? When you come to Ha Giang Immigration Office or Meo Vac Police Station, remember to bring your original pastport along (or the copies of your passport & entry visa, along with a letter stating that your passport is in Hanoi for visa extention or that sort of), the police will get your passport and fast make your stamped permit with the detailed information of your full name, birth of date, passport number, permited area to enter, purpose of entry and duration. 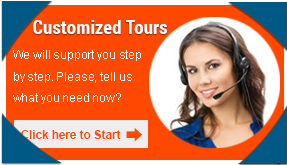 You pay the permit fee of 10usd/one person (or 230,000 vnd/one person) and get the approved permit & your passport back. When you do booking our Ha Giang tour package, we will process the permit for your journey inclusively, you just leisurely enjoy the journey. When you rent our private car with driver to Ha Giang adventure journey, if needed the transfer, our driver will take you to Ha Giang Immigration Office or Meo Vac Police Station, you process your permit ( permit fees paid by yourselves), then continue the journey. What happen if you do not have an entry permit to Ha Giang’s northern districts. During the journey, you may not be asked by the police about the permit by chances, but when you check in the hotel’s rooms, the hotels & guesthouses may request your permit in order to allow you to stay because they need to declare to the local government about any guests who stay in their accomodation on that night.So surely that you must have the permit for this Ha Giang excursion. Ha Giang adventure at Don Cao fortress. If you get checked by the police while traveling to northern districts of Ha Giang, they may ask to see your entry permit.If you do not have one, they may turn you around with the fines or discontinue your journey.Make sure that, it will not be your case in this situation. Ha Giang Advendture with Golden Holiday Travel. 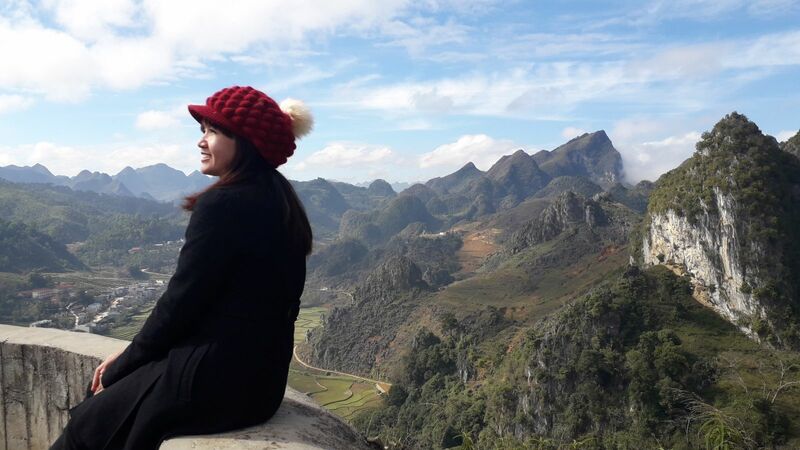 As a local licensed tour operator with the office in Hanoi, Golden Holiday Travel Team try our best to provide useful consultancy & travel information about Ha Giang destination.Hopefully, this article of Ha Giang permit find you usefully for plan your coming trips to Ha Giang.In need of travel services of Ha Giang adventure tour packages or car hire to Ha Giang from Hanoi, feel free to email us to goldenholidaytravel.vn@gmail.com or contact us by +84.988451530 ( viber, whatsapp, sms), our travel consultants will soon reply you back with useful travel support & suggestion for your life-time journey.